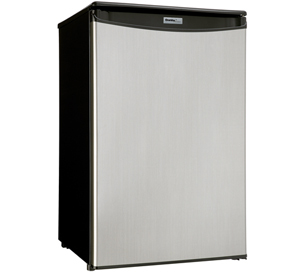 This elegant compact refrigerator by Danby can easily fulfill your family’s needs with its 4.4 cubic-feet (126 litres) of storage and cooling space. 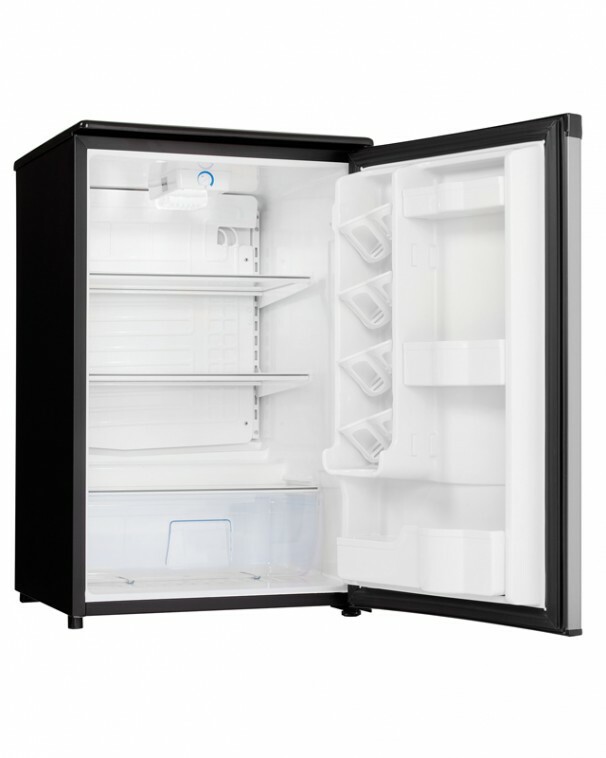 It features two full shelves for maximum storage versatility as well as another half shelf for additional items and a see-through vegetable crisper with glass top. There’s more than enough room for larger bottles and the spacious unit helps keep electricity bills in check with its Energy Star rating and state-of-the-art mechanical thermostat. 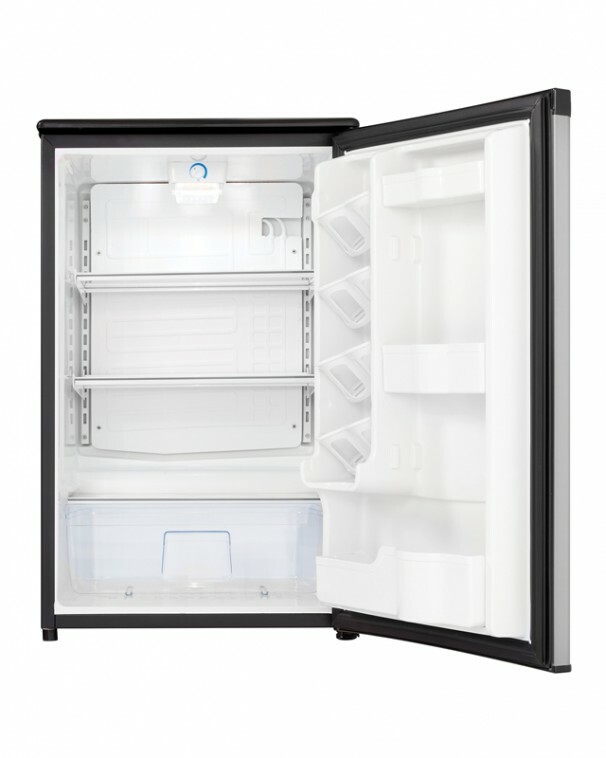 Maintenance and cleaning are as simple as can be with the automatic defrost system and spotless-steel finish. The spotless-steel door, black cabinet, and integrated door handle provide a beautiful contemporary look and the smart scratch-resistant work-top is an ideal place to store accessories. It also comes with an efficient CanStor beverage dispenser and reliable interior light. This model is built for convenience as the reversible door hinge allows you to adjust it for either left or right-handed opening. 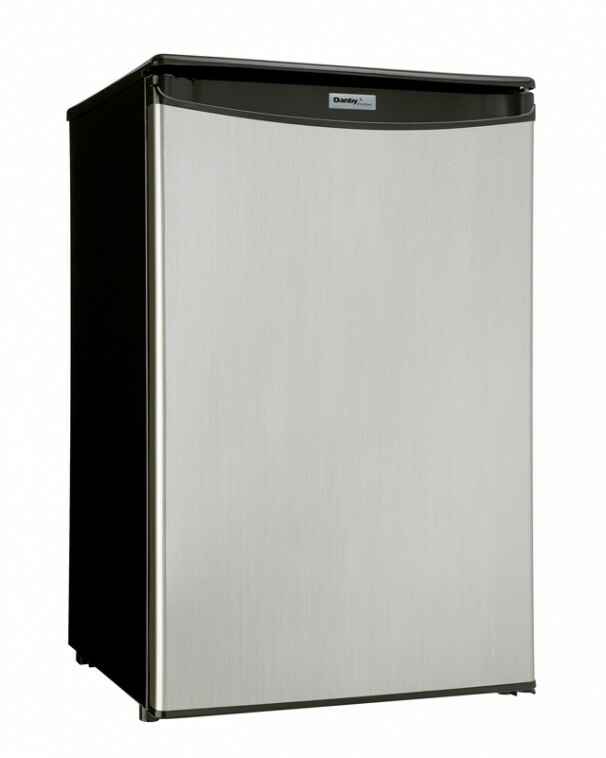 This esteemed refrigerator also comes with a worry-free 18-month warranty on parts and labour with handy in-home service.